Given 18 Months to Live, Man Cures Brain Cancer With Cannabis Oil-Fiction! - Truth or Fiction? Given 18 Months to Live, Man Cures Cancer With Cannabis Oil-Fiction! A British man named David Hibbitt was given 18 months to live before he cured cancer with cannabis oil. Many holistic health websites have featured the story of the man who cured bowel cancer with cannabis oil after being given 18 months to live. Unfortunately, 34-year-old David Hibbitt died from brain cancer in 2016, a year after stories about his miraculous recovery first surfaced. Last January the father-of-one revealed he was cancer-free and put the class-B drug down to his miracle recovery. But the cancer returned in March this year and spread to his lungs and brain. It claimed his life earlier this month. David Hibbitt’s family vowed to pursue research into the ability of cannabis oil to treat cancer after his death. There have been lots of studies about cannabinoids’ ability (or lack thereof) to treat cancer. 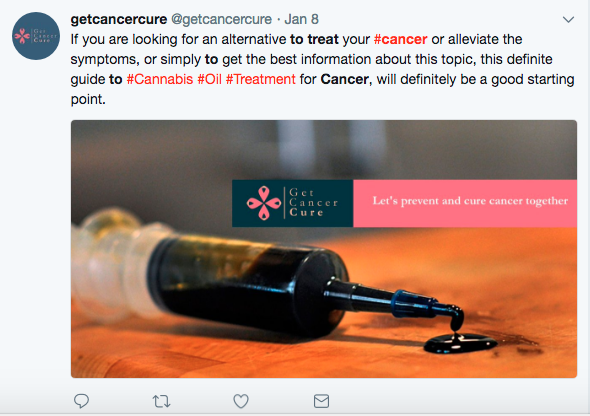 But Cancer Research UK reports that there’s no definitive proof of that, despite numerous studies claiming to confirm that cannabis oil treats cancer. Rumors that a man given 18 months to live used cannabis oil to treat his cancer appear regularly on social media. Retired Navy Commander John Wells Declines Saints Invitation Over National Anthem Protests-Truth! Thieves Cloning Auto Door Lock Codes, Breaking Into Cars-Truth!